Leather can stiffen as a normal part of the aging process, or if it routinely becomes too wet or dry. Fortunately, leather responds well to treatment, and it is possible to revitalize a piece of leather, including leather furniture, so that it looks nearly new. 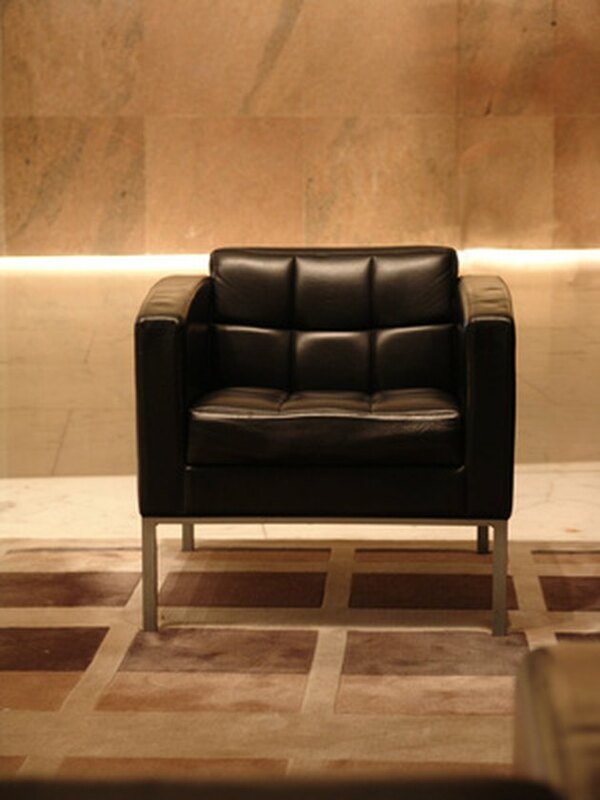 Once you treat the stiff leather, it is important to continue to take care of it so that it doesn't stiffen up again. With regular care, it is possible for leather to last for years. Leather that's stiffened can be rejuvenated. Clean the leather thoroughly. Use a damp sponge with saddle soap or castile soap. Squeeze as much moisture as possible from the sponge before rubbing it across the surface of the soap, so that you don't get too much moisture on the leather. Rinse the soap off the leather with a clean, barely damp cloth. Go over the leather several times, rinsing the cloth out frequently and squeezing out the excess moisture. You don't want to leave any soap residue behind. Rub a clean, dry cloth across the surface of the leather. Pay special attention to drying out areas around buttons, creases or any other places moisture may hide. Apply a leather dressing containing neatsfoot oil or lanolin over the leather surface, using your fingers. Allow the dressing to soak in for several hours. Repeat the application process until the leather softens. Allow the dressing to soak in thoroughly, at least overnight, before wearing the item or sitting on a piece of furniture. This allows the leather dressing to fully absorb, and prevent it from rubbing off on your clothes.